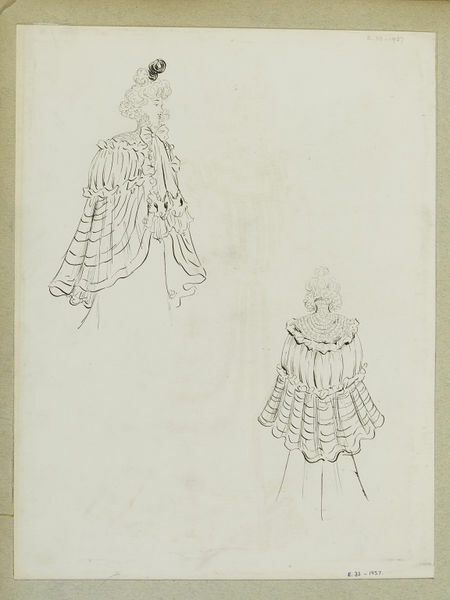 Front and back views of an evening cape with thickly ruched and gathered yoke and ruffles, the body of the cape puffed about the upper torso and falling into a cut-away flounce. Large bow at neck. One of a group of 85 fashion designs bound in a volume of Paquin designs for Winter 1897. 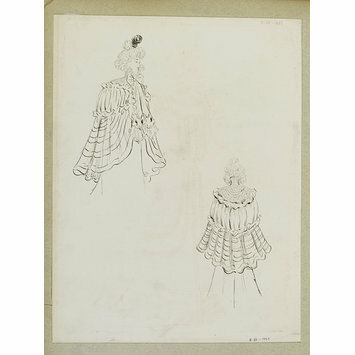 Most in pen and ink with touches of watercolour, some with names, details, and fabric swatches attached.